Amazing things happen when women help other women! Be part of a community of women who want to challenge gender inequality. Watford Women's Centre recognises the transformations in women's lives that can be realised through support networks. Becoming a supporter of our work in whatever way you can, makes a real difference to the work of the charity and the positive outcomes that can be achieved for women who are often dealing with overwhelming challenges. What can I do as a supporter of the Women’s Centre? Organise a fundraising activity such as a coffee morning, cake sale, fun run or other. Share your skills and experience by becoming a volunteer at the centre. Set up a women’s support group around things that interest you. Join one of our current groups like our Arts and Crafts or discussion groups. Spend a day with us, meet our team and find out how we support women in Watford and the wider community. Be a guest on one of our regular podcasts ‘Women’s Matters’. We welcome ‘all’ women and new ideas are always welcome. If you are interested in becoming a supporter of Watford Women’s Centre complete the Supporter Form, email the centre general@watfordwomenscentre.org.uk or call us on 01923 816 229. Annual subscription to full membership is just £10 for which you will receive information about the Charity, governance, and activities and be eligible to vote at our Annual General Meetings. We will keep you up to date with our activities through a quarterly newsletter, help promote any support activities you are involved in on our behalf and invite you to all the centre's events and celebrations. 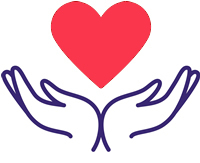 I am a supporter of Watford Women’s Centre because I love being involved in this specialist community that does so much to ensure all women can reach their full potential. In the most difficult situations, this centre provides a lifeline.